This week Nike announced that this year they are releasing a Nike Magista Obra BHM Limited Edition boot which will first be available on the 12th February through the Nike Football App. So I thought I would take this opportunity to showcase last years release from Nike for Black History Month (BHM). These boots were only worn by one of Nikes sponsored footballers Kevin Prince Boateng who was playing in the German Bundesliga for Schalke at the time these were released. 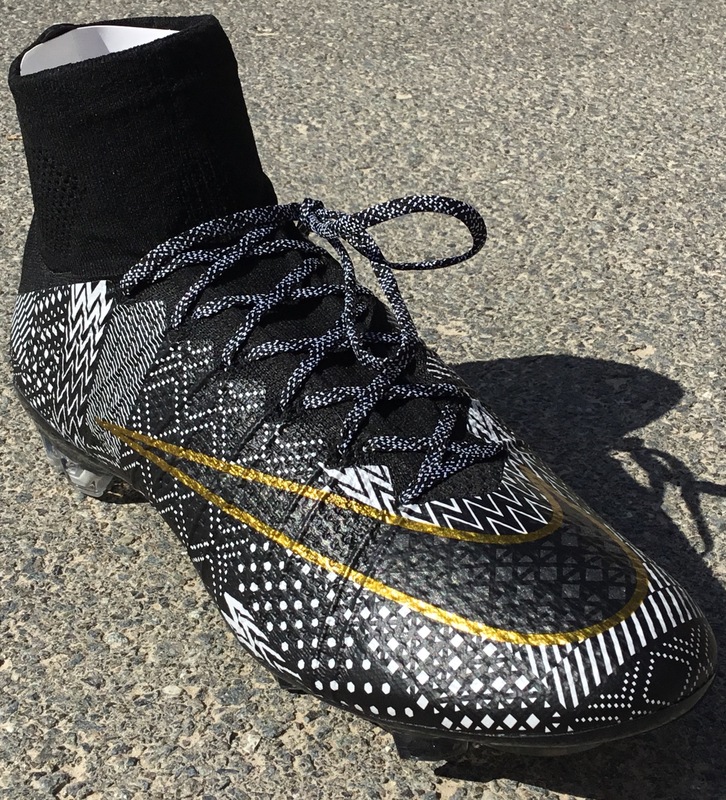 The Mercurial Superfly BHM FG boot was released in January 2015 and sold out in seconds. Nike have never confirmed the actual number of the boots but it is believed to be around 100-200 pairs world wide. This was the first football boot that Nike had released as part of their BHM collection. In years gone by Nike had always looked at other sports to celebrate this month. To be fair to Nike, for the first football boot in this range they really hit a home run! 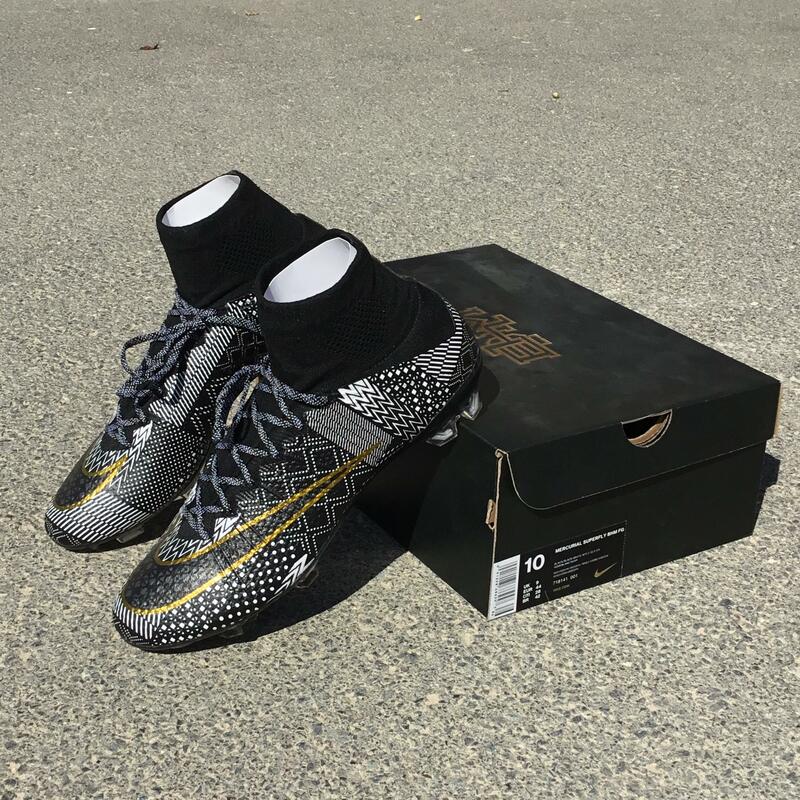 The BHM Superfly is a stunning boot and for many it's the best looking Superfly out of all the releases over the last 20 months. Tech wise the BHM is a standard Superfly IV football boot so it performs on the pitch as well as any other boot, however I don't know how many pairs of these have actually hit the pitches due to how rare they actually are. The aesthetics of this boot are what make it so special. 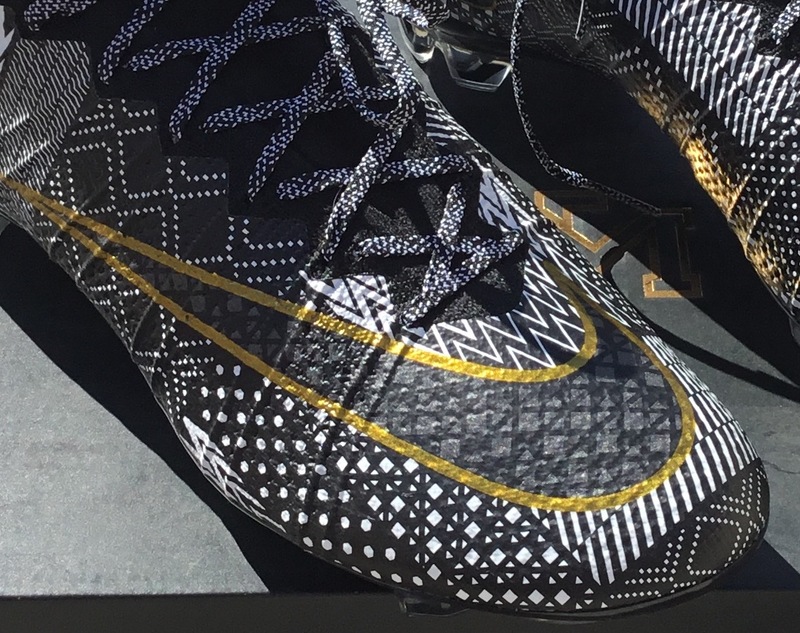 The unique design in a very standout black/white/gold colour way has never been seen on a boot before and as you can see from the pictures looks insane. The gold outline on the boot simply adds a touch of class to an already amazing looking boot. 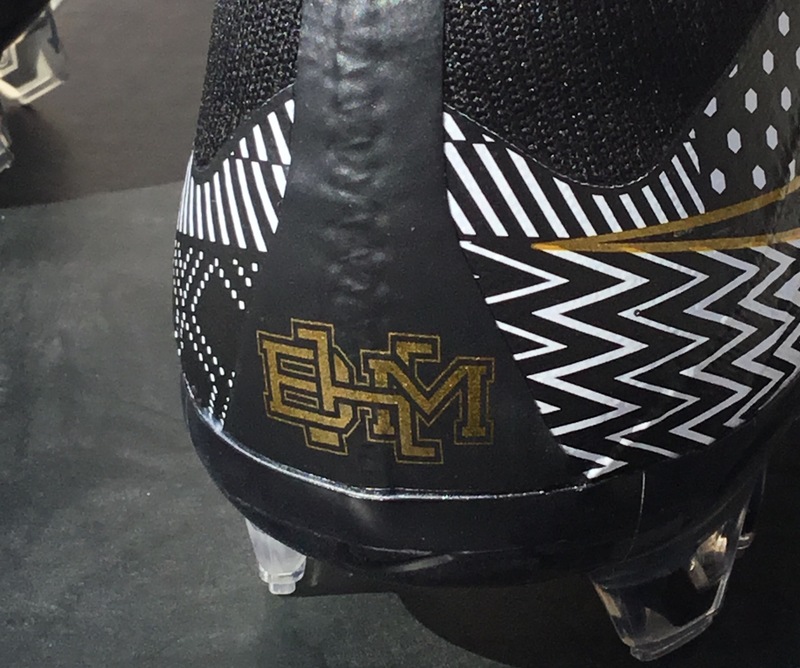 On the heel of the boot, Nike added the BHM logo and again it's these small touches that make you appreciate exactly how good a release this was from American company. It was also great to see Nike package the boots in a special box for the release. 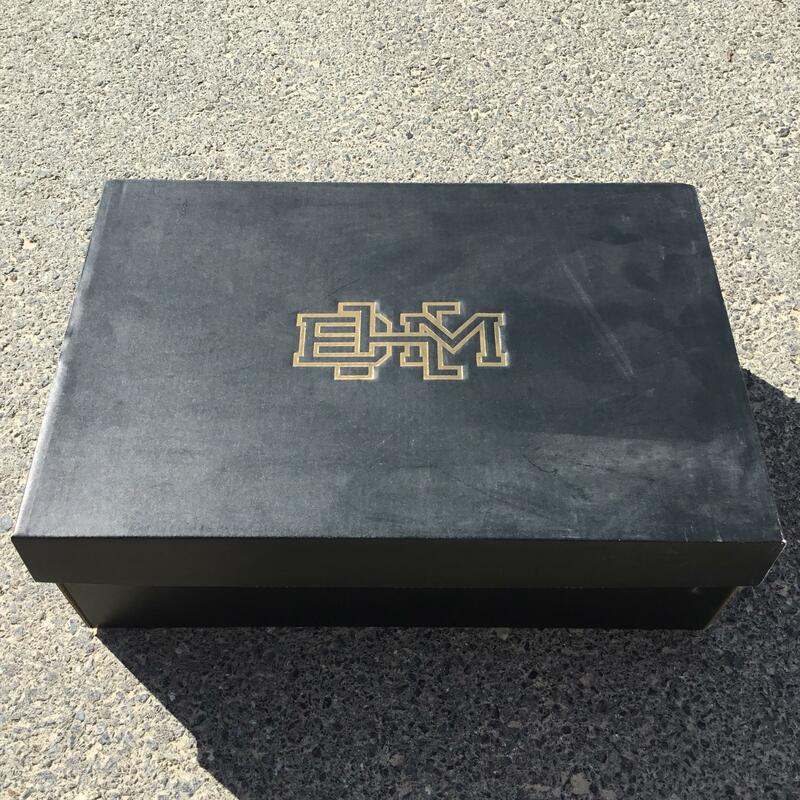 The BHM Superfly come in a black box with a gold BHM logo on the top of it. The whole package from Nike just oozes class. 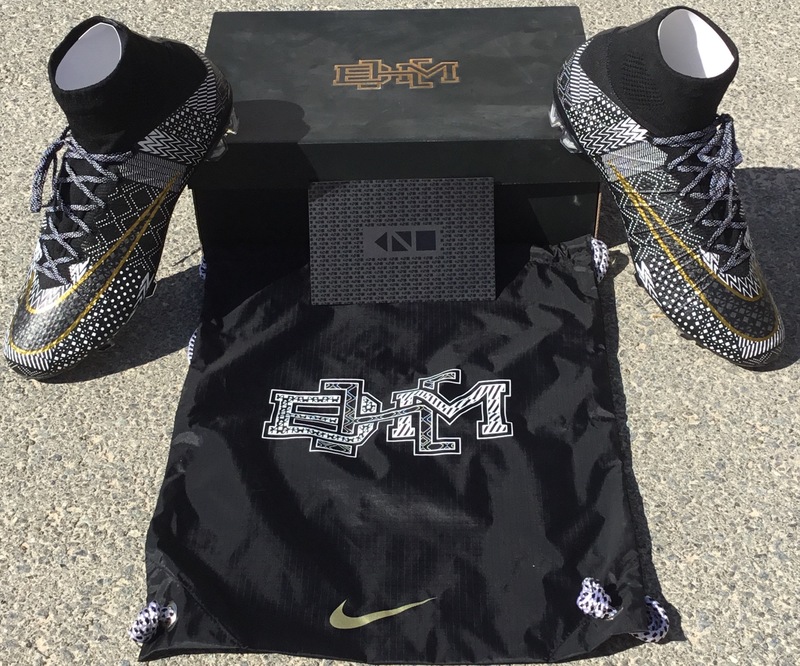 Along with the boots, Nike have included a bag for them which again comes emblazoned with the BHM Logo on the front of it and a gold Nike swoosh at the bottom. 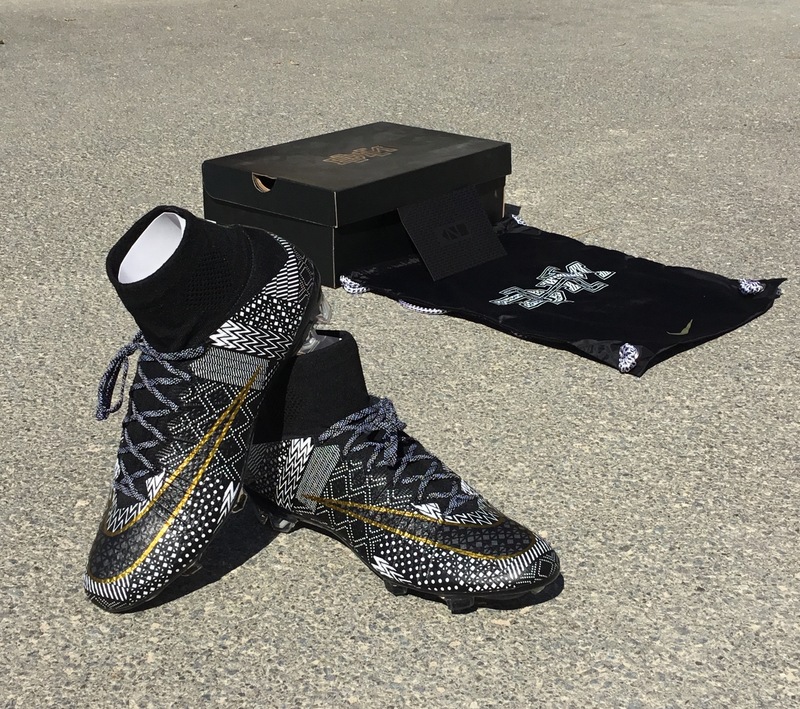 Nike also slid a card into each box telling customers that some of the money raised from the sale of the boot will go to support many of the initiatives Nike are involved in to help develop the next generation of leaders. I am just pointing this out should you be looking to add a pair of these to you collections it's always nice to have all of the extras when you buy them. As I said they sold out in seconds but as with all Nike releases these boots are available through eBay. The resale price of these started extremely high however in the last few has dropped due to the fact that most collectors who want them already actually have them. The demand has lowered as have prices. It will be interesting to see if the launch of the new Magista Obra drives prices higher for the Superfly. 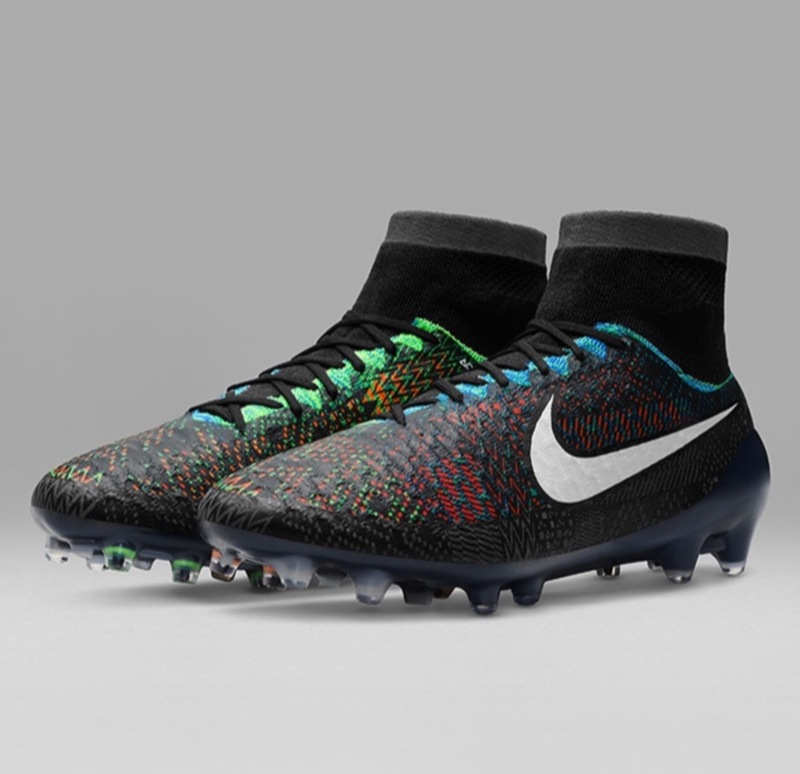 I am hoping that the Magista Obra BHM is easier for people to get their hands on. I am optimistic about this as the app says first available through the app meaning that perhaps other online retailers will have the opportunity to sell these new amazing limited edition boots. So good luck on the 12th February of your looking to buy the new boots and I hope you have enjoyed a flash back to this time last year when they released the Superfly BHM. Just a quick look at the new Magista Obra BHM Limited Edition and thanks to the Nike Football App for this stunning pic.